West Bengal Chief Minister Mamata Banerjee said the Prime Minister Narendra Modi government had deviated 'in many areas from the original intent' with regard to the Goods and Services Tax (GST). 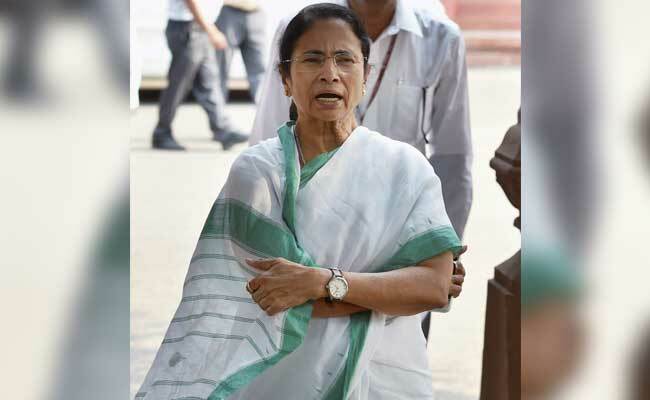 New Delhi: Mamata Banerjee on Friday said the "draconian" arrest clause in the Goods and Services Tax (GST) can lead to "major harassment of business". The West Bengal Chief Minister expressed fear that the "inspector Raj" was back. "At the stroke of midnight on 14th August, 1947, India won her freedom. Now, at the midnight of 30th June, 2017, freedom and democracy stand to face grave danger. The mockery of Inspector Raj is back," Banerjee said in a Facebook post. The chief minister said the Prime Minister Narendra Modi government had deviated "in many areas from the original intent" with regard to GST. 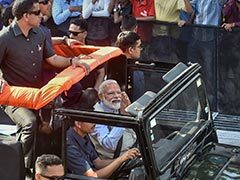 "I am shocked to find that the GST rules contain a rather draconian arrest clause which can lead to major harassment of business, particularly the small and medium, with some sections even being non-bailable too. "I would like to point out that under the current VAT regime, the field officials of the State do not have the power to arrest. If they feel that there is a serious tax offence, then they will have to file a FIR and pursue the due process of law. "But in the case of GST, the Inspectors will have the power to arrest on four different types of offences which can lead to jail from one year upto five years," she said. Ms Banerjee pointed out that West Bengal, whose Finance Minister Amit Mitra was chairman of the empowered committee on GST, had opposed the arrest clause in the GST Council "but the Government of India did not pay any heed". "In fact, in the name of GST, they have deviated in many areas from the original intent," she said. Ms Banerjee was apprehensive that in the current atmosphere where anyone disagreeing with the central government was being targeted, the clause could be used to silence dissenting business leaders. "Given the atmosphere in the country of vindictively targeting anyone who dares to disagree with the central government, I am deeply concerned that the arrest clause in GST may well be used to target business leaders who raise their voice of dissent on any policy matter or any practices," she said. Banerjee wondered whether from Friday-Saturday midnight "darkness (will) loom large in the lives of entrepreneurs and common people?" Banerjee's Trinamool Congress is boycotting the GST roll-out midnight event in Parliament.